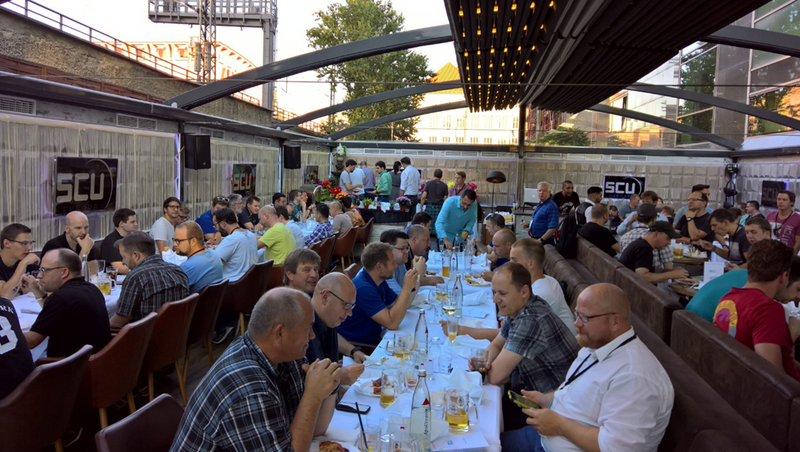 Last week at SCU Europe 2016 in Berlin, I presented a session on Application Publishing with Azure AD. 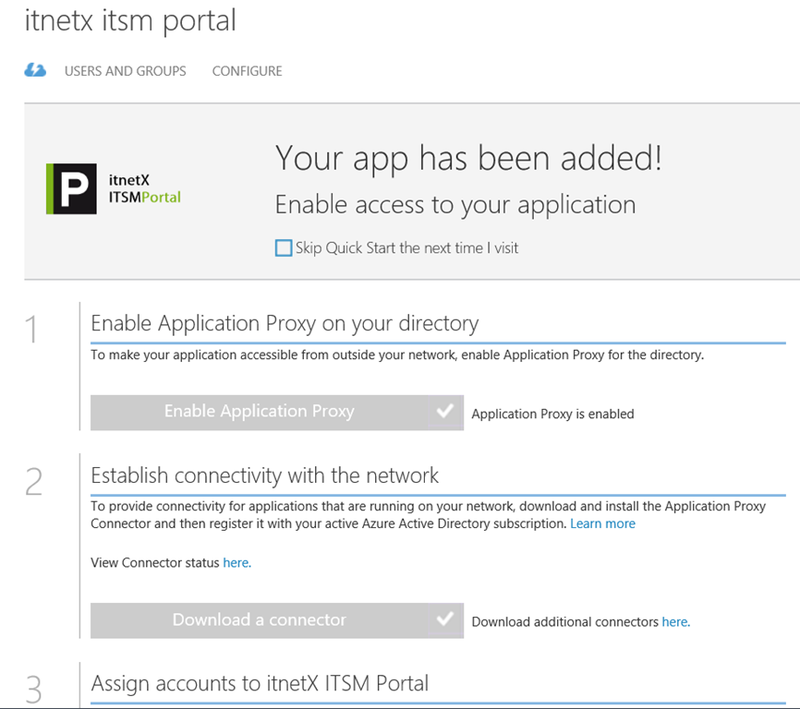 In one of my demos I showed how to use Azure AD Application Proxy to publish an internal web application like the itnetX ITSM Portal. The session was recorded and will be available later at itnetX’s Vimeo channel and on Channel 9. 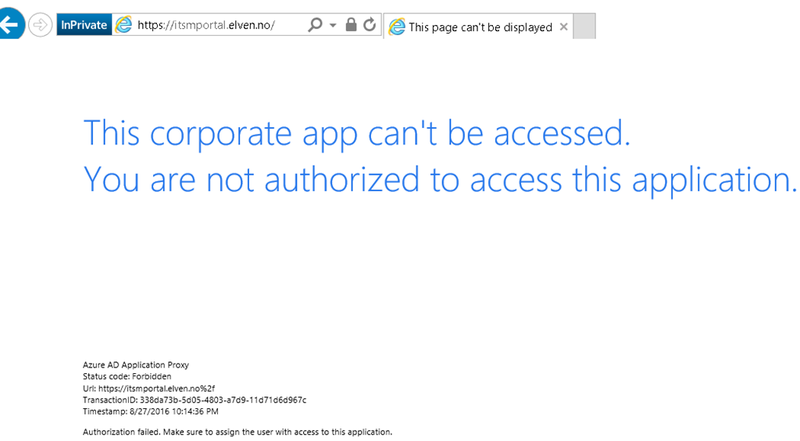 In this blog post I will detail the steps for publishing the portal in Azure AD, and also how to configure Conditional Access for Users and Devices. 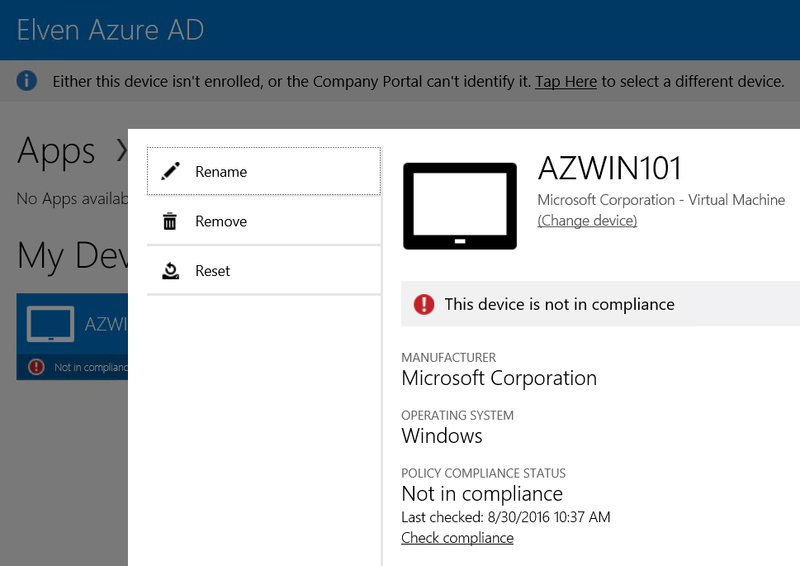 Device compliance and/or Domain join conditional access recently went into preview for Azure AD Applications, so this will be a good opportunity to show how this can be configured and how the user experience is. itnetX has recently released a new HTML based ITSM Portal for Service Manager, and later there will be an analyst portal as well. 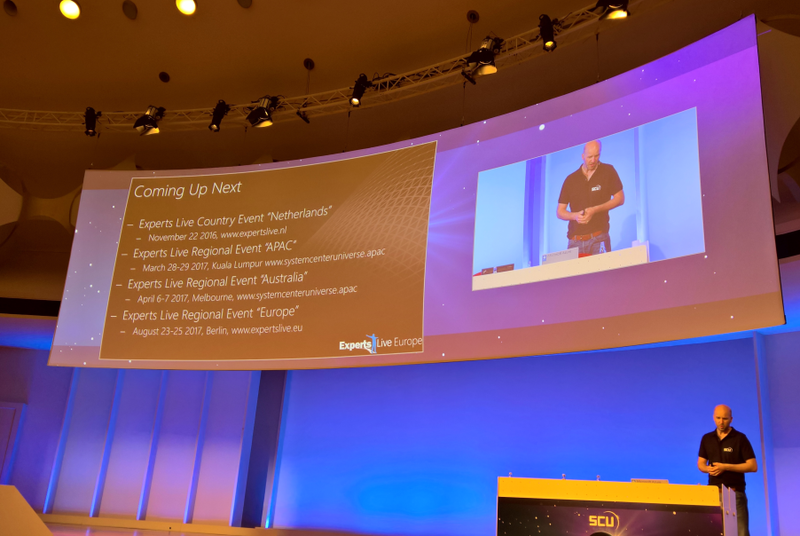 This should be another good scenario for using the Azure AD Application Proxy, as the ITSM Portal Web Site needs to be installed either on the SCSM Management Server or on a Server that can connect to the Management Server internally. 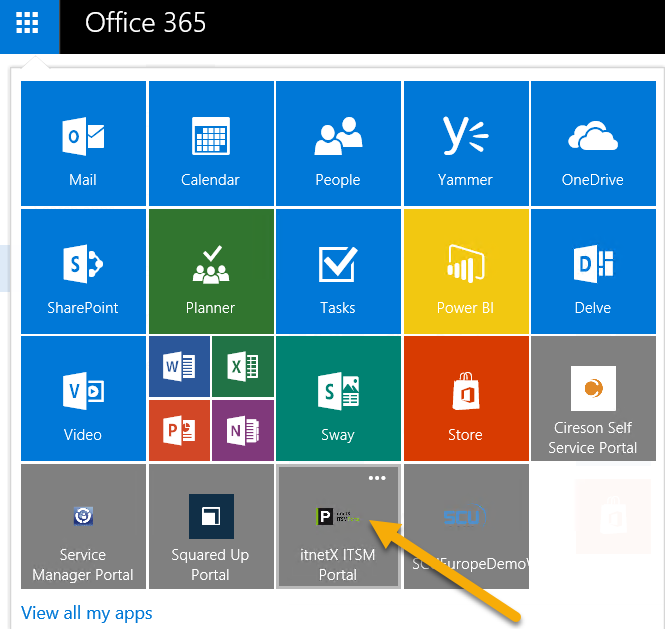 In this blog article I will describe how to publish the new ITSM Portal Web Site. 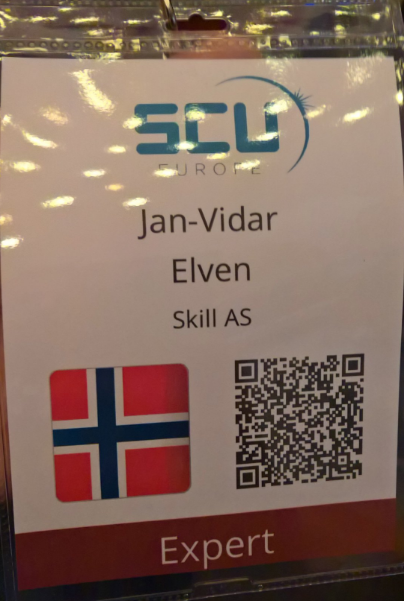 This will give me some interesting possibilities for either pass-through or pre-authentication and controlling user and device access. Publish without pre-authentication (pass through). This scenario is best used when ITSM Portal is running Forms Authentication, so that the user can choose which identity they want to log in with. Publish with pre-authentication. 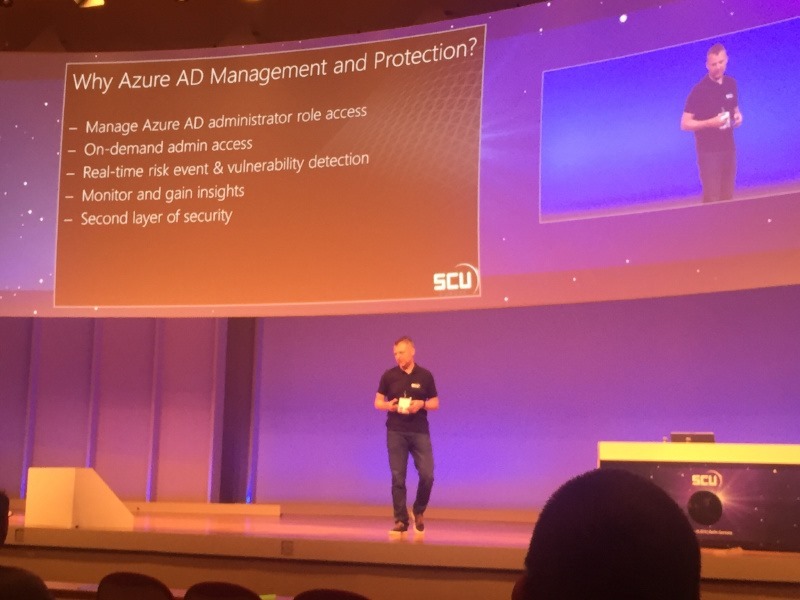 This scenario will use Azure AD authentication, and is best used when ITSM Portal Web Site is running Windows Authentication so that we can have single sign-on with the Azure AD identity. Windows Authentication is also default mode for ITSM Portal installations. First I make sure that the portal is available and working internally. 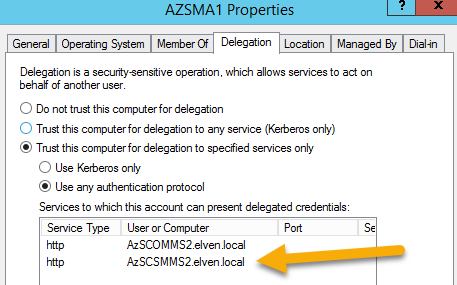 I have installed it on my SCSM Management Server, in my case with the URL http://azscsmms2:82. 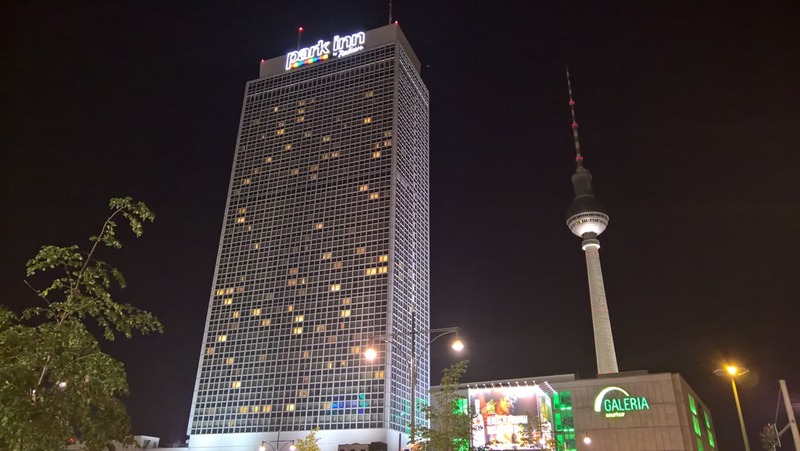 I will then give a name for my application, specify the internal URL and pre-authentication method. I name my application “itnetX ITSM Portal”, use http://azscsmms2:82/ as internal URL and choose Passthrough as Pre-Authentication method. When choosing pass through as authentication method, all users can directly access the Forms Based logon page as long as they know the external URL. Assigning accounts, either users or groups, will only decide which users that will see the application in the Access Panel or My Apps. After I have configured this, I am finished at this step, and can test the application using pass through. Next I need to configure to use Internal Authentication Method “Windows Integrated Authentication”. I also need to configure the Service Principal Name (SPN). Here I specify HTTP/portalserverfqdn, in my example this is HTTP/azscsmms2.elven.local. Since I now will use pre-authentication, it will be important to remember to assign individual users or groups to the Application. This enables me to control which users who will see the application under their My Apps and who will be able access the application’s external URL directly. If users are not given access they will not be able to be authorized for the application. 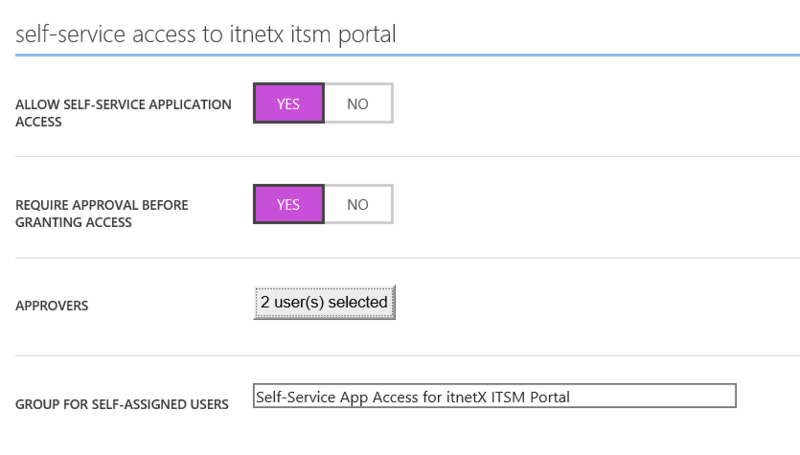 The itnetX ITSM Portal site is configured for Windows Authentication by the default, but since I reconfigured the site to use Forms Authentication earlier, I just need to reverse that now. See installation and configuration documentation for that. It is a good idea at this point to verify that Windows Integrated Authentication is working correctly by browsing internally to the ITSM Portal site. Your current logged on user (if permissions are correct) should be logged in automatically. 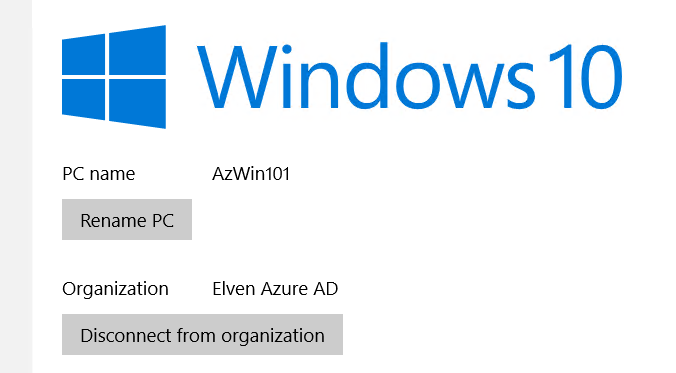 This means that the pre-authentication works and I can control who can access the application via Azure AD. 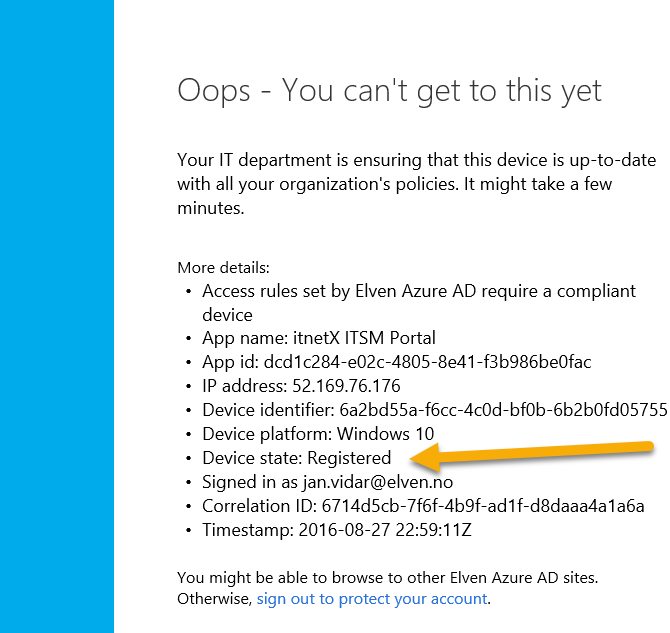 When using Azure AD as preauthentication, I can also configure the application for conditional access for users and devices. 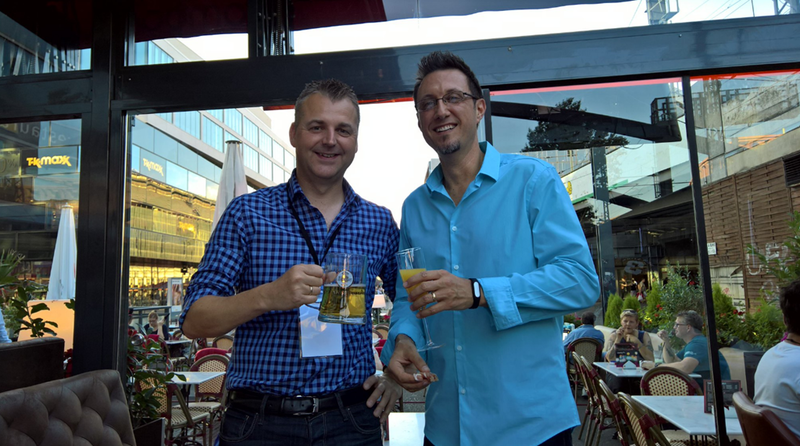 Remember this is a Azure AD Premium feature. 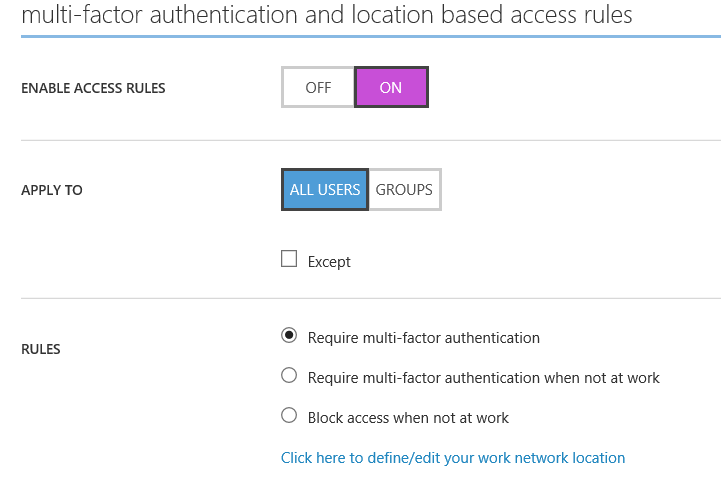 If I enable Access Rules for MFA and location I see the following settings, where I can either for all users or for selected groups require multi-factor authentication, or require multi-factor when not at work, or block access completely from outside work. 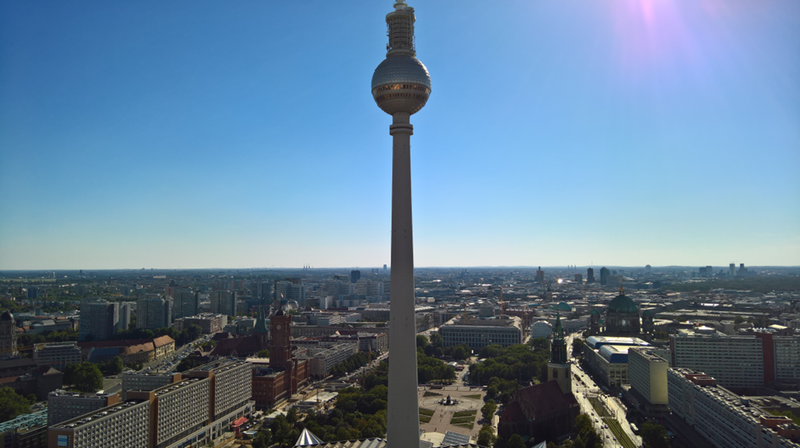 I have define my network location IP ranges for that to take effect. If I enable Access Rules for devices, I see the following settings. 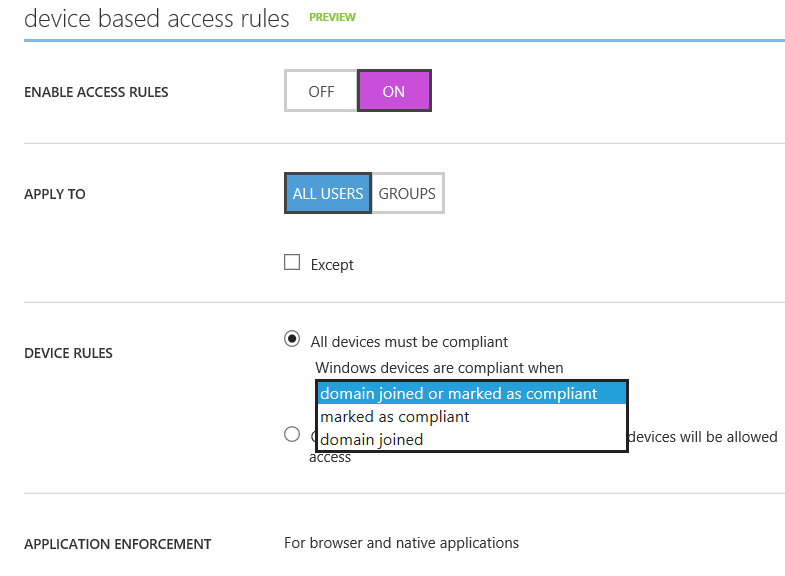 I can select for all users or selected groups that will have device based access rules applied (and any exceptions to that). If I select all devices, a sub option for windows devices shows where I need to select between domain joined or marked as compliant, or just marked as compliant or domain joined selectively. 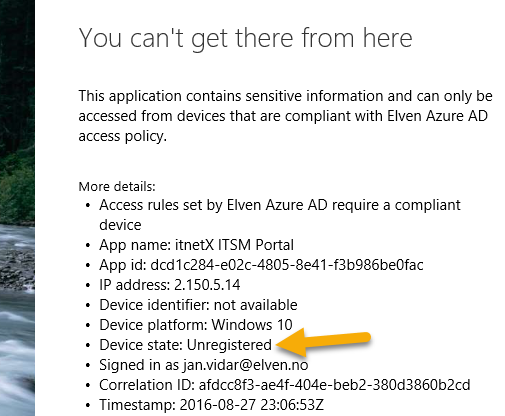 So I can with different access rules for both MFA, location and selected devices, in addition to the Azure AD Preauthentication, apply the needed conditional access for my application. 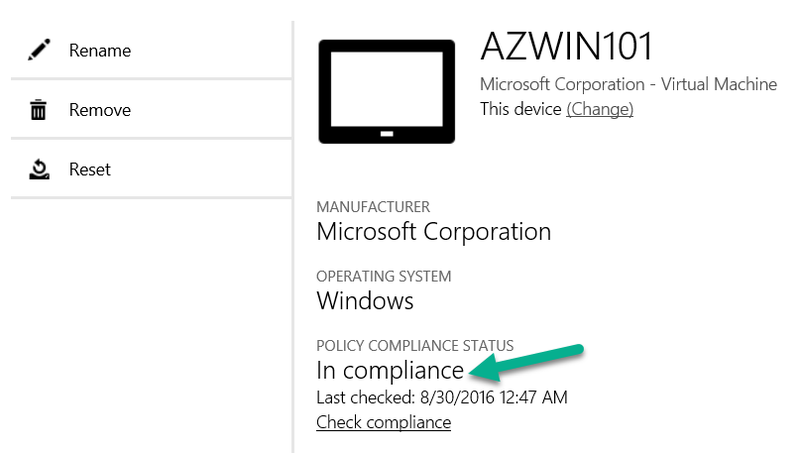 In this case I will select device rules for compliant/domain joined, and for all the different devices. 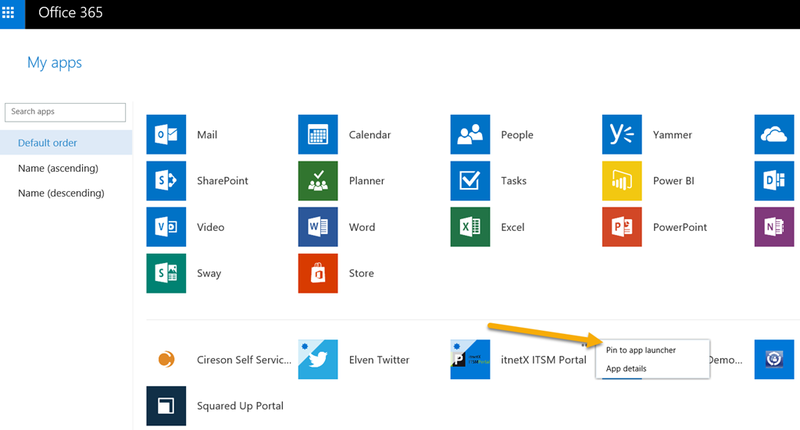 This will mean that for users to access the ITSM Portal, their device must either be MDM enrolled (iOS, Android, Windows Phone) or in the case of Windows devices either be MDM enrolled, Azure AD Joined, Compliant or Domain Joined. 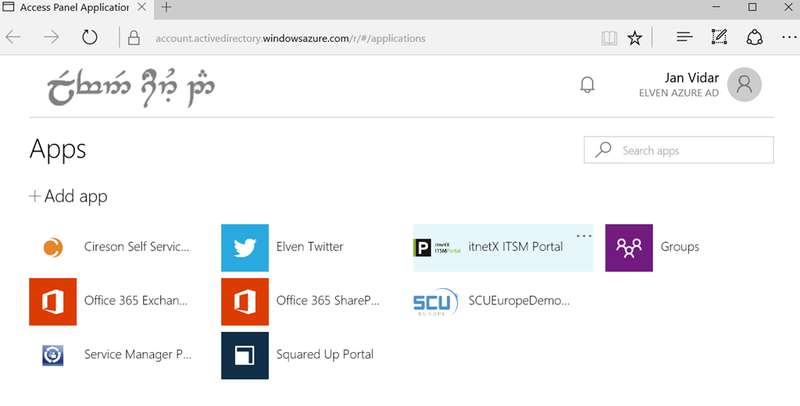 Domain joined computers must be connected to Azure AD via the steps described here: https://azure.microsoft.com/en-us/documentation/articles/active-directory-azureadjoin-devices-group-policy/. After I’m finished reconfiguring the Azure AD App Proxy Application, I can save and continue and test with my devices. On the details I see that my device is Unregistered, so I will not be able to access the application. Now I can see that my device has been registered, but that it is not compliant yet, so I still cannot access the ITSM Portal. 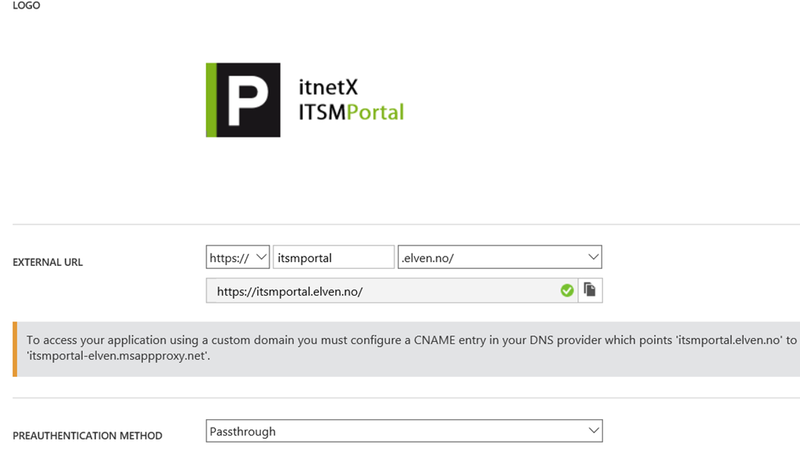 In this blog post we have seen have to publish and configure the itnetX ITSM Portal with Azure AD Application Proxy, using both pass-through authentication and Azure AD Preauthentication with Kerberos constrained delegation for single sign-on. 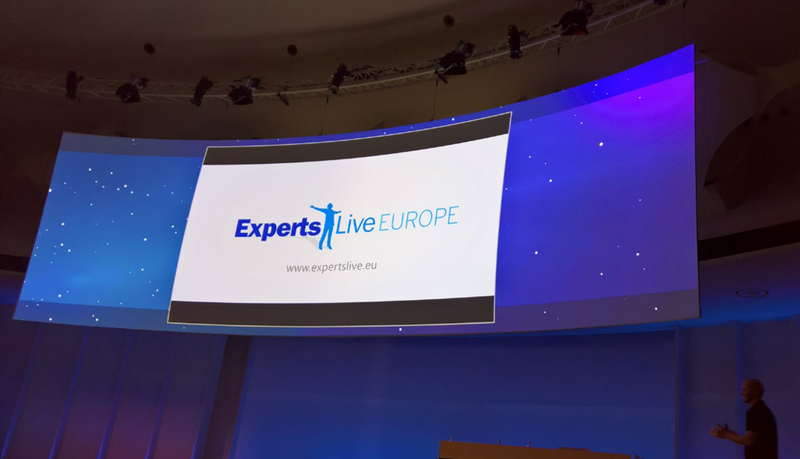 With the additional possibility for conditional access for users and devices, we have seen that we can require either MFA or location requirements, and device compliance for mobile platforms and windows devices. 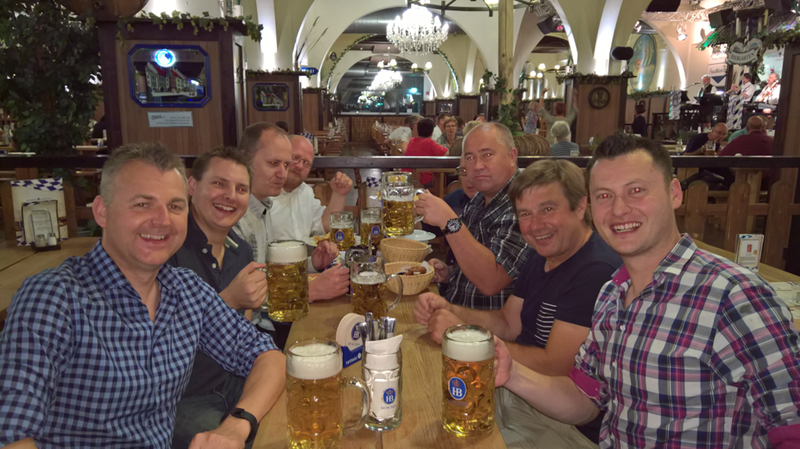 Hope this has been an informative blog post, thanks for reading! 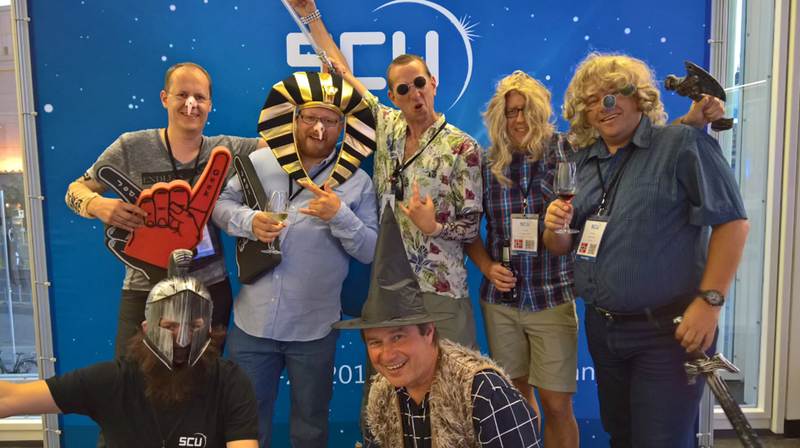 This entry was posted in Azure, Azure AD, Azure AD Premium, Enterprise Mobility Suite, Microsoft Intune, Service Manager and tagged Azure AD Application Proxy, Azure AD Premium, Enterprise Mobility, Service Manager on August 30, 2016 by Jan Vidar Elven.